I recently left the corporate world following a bit of a reshuffle in which the group I’d been working for decided to relocate to Germany. My husband and I had just finished building a new house in Haute-Savoie part of France and had no desire to move. We live in a pretty amazing part of the world, on the French side of Lake Geneva. Aside from the natural attributes of lake and mountains, there is a large international community and a relatively stable economy just across the border in Switzerland. Bottom line: there are worse places to be out of work. It didn’t take long to decide it was time to go back to my roots as a freelancer. This will be my third time being self-employed. But this time, I’m doing things a little differently. Although it seems that France is actively trying to encourage an entrepreneurial culture as a strategy to curtail unemployment, there is little culture of risk-taking here. Last October, the government commissioned a report by its own Centre for Strategic Development to find out why. They needn’t have bothered – I could have told them what’s wrong. Shortly after landing in France back in the 90s, I set up a business in Lyon as a ‘profession libérale’, a category of self-employed professional that includes doctors and lawyers. As an independent writer-translator my fees were fairly modest. Still, I had a couple of decent years and declared a bit too much income. I ended up paying astronomical contributions the following year when my billings had once again returned to normal…I was basically working just to pay the tax man. Along the way I also paid through the nose for obligatory health and retirement coverage. All these social contributions are in reality hidden taxes, a factor that ultimately convinced me to go back to full-time employment. Under Sarkozy, the government introduced a new status for the entrepreneur, known as ‘auto-entrepreneur’ (self-employed is my best translation of this rather redundant expression – is there any other kind of entrepreneur than ‘auto’?). This new status allows just about anybody to start a business, whether full-time or on the side, with incentives like tax breaks and simplified reporting. There’s only one hitch: you’re not allowed to earn more than about 30,000 euros per year in income. Beyond that you must create a full-fledged company, which means much higher overheads. And that is exactly the reason why so many French businesses fail. Recent rumblings on the part of Hollande’s socialist government to take away some of the new incentives for French startups has created considerable outcry, especially amongst the tech community, which you can read about here. This time my business will be based in neighbouring Switzerland, where the majority of my clients are. And where being gainfully self-employed is less subject to political ups and downs. But I also intend to set up as an ‘auto-entrepreneur’ in France, and make sure I take full advantage of all of this country’s newfangled bonuses and perks. For however long they last. 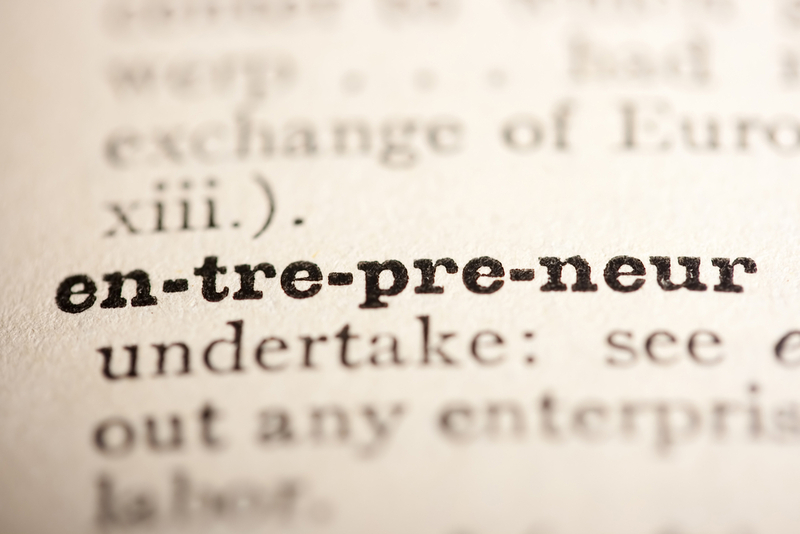 After all, entrepreneur is a French word. I like that. It also describes my approach to life in general: Do what you love, the rest will follow. Our son attended high school at Chateau du Rosey on the Swiss side of Lake Geneva.